Two Gentlemen of Verona, William Shakespeare’s classic comedy, will open Friday, June 17 at the Metcalf Theater on the campus of Southern Illinois University Edwardsville. The director is Chuck Harper, professor of performance in SIUE’s Department of Theater and Dance. The artistic crew consists of James Wulfsong, scenic and lighting designer; Meredith LaBounty, costume designer; Jim Blanton, sound design; Kate Slovinski, property master; Alexis Ronan, assistant director; and Maggie Conroy, stage manager. The production features a full cast of SIUE alumni: Jonah Walker, Amanda Wales, Ryan Wiechmann, Olivia Foort, Halley Robertson, and Teryl Thurman. Two Gentlemen of Verona will be on stage at SIUE’s Metcalf Theater for a total of six performances. Other production dates are 7:30 p.m. Saturday, June 18; Friday, June 24; Saturday, June 25; and at 2 p.m. Sunday, June 19 and Sunday, June 26. General admission is $15 for adults and $12 for alumni, retirees, faculty, staff and non-SIUE students with school identification. SIUE students with valid identification are free, courtesy of SIUE’s Campus Activities Board. Discounted tickets are available for groups of 10 or more with an advanced order. For tickets, call the Summer Showbiz Box Office at 618-650-2774 or toll free at 888-328-5168, extension 2774. The box office is located in Dunham Hall, room 1042B. For more information, visit siue.edu/artsandsciences/theater or send a message to theater-tickets@siue.edu. All of Shakespeare’s great comic stylings are on display: lovesick boys with wandering eyes, lovesick girls who dress as boys, and idiotic servants with plans of their own, all conspire to make a love match. Two Gentlemen of Verona centers around Valentine and Proteus, bosom buddies, who bid a tearful farewell. Valentine is out to see the world while Proteus stays home in Verona, tied by his love to Julia. 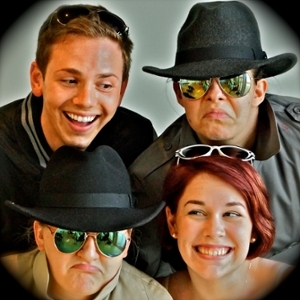 SIUE’s Summer Showbiz presents four plays during its May to July summer season. All productions are open to the community at large. The Department of Theater and Dance is part of the College of Arts and Sciences.